May, 6th 2018, 11 a.m. 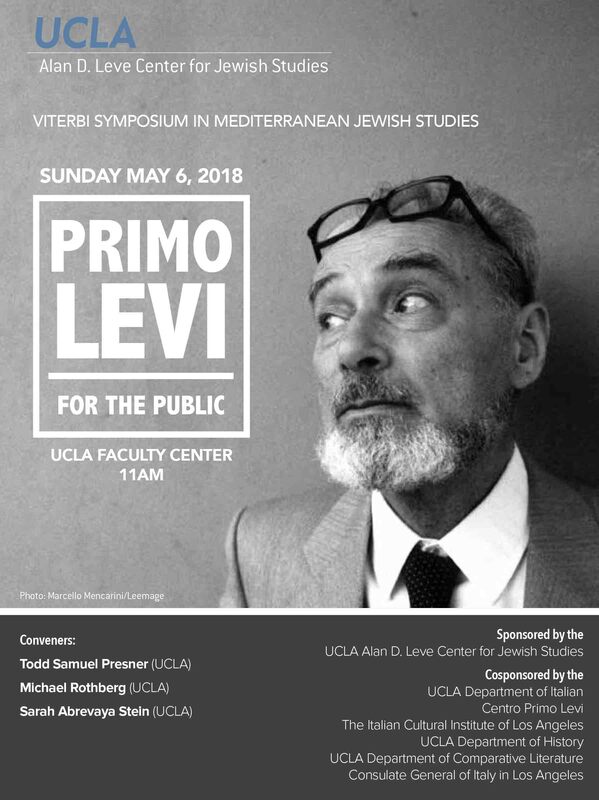 This symposium brings together a group of distinguished, international scholars engaged with the life, writings, and impact of Primo Levi (1919-1987), an Italian Jew who survived Auschwitz and helped define what it means to bear witness to the Holocaust—and the modern condition. More than a survivor of the Holocaust, Levi was also a chemist, a humanist, and a storyteller, whose writings reflected on the natural world, human violence, testimony, and even language itself. The symposium celebrates the publication, in 2015, of Levi’s complete works in English (by editor and translator Ann Goldstein, published by W. W. Norton) and probes the literary, philosophical, and historical legacy of Levi. What does it mean to read Primo Levi today? How do his writings help us develop a language for bearing witness to violence in both the past and the present? And, finally, how does his work speak to urgent political concerns and provide models for public engagement and resistance today?